We had a terrific time Saturday afternoon in our Healdsburg gardens with Sarah Lonsdale, co-author of Foraged Flora, and Dundee Butcher of Russian River Flower School. We had a terrific Saturday afternoon in our Healdsburg gardens with Sarah Lonsdale, co-author of Foraged Flora, and Dundee Butcher of Russian River Flower School. It was a day of truly observing the botanical bounty found outdoors in nature and capturing that moment of beauty to admire indoors. Foraged Flora is not only a beautifully photographed book, it's also a great read. The stories that the authors write about the people that they've worked with are fascinating. Foraged Flora is a very clear argument for gleaning and foraging close to home. our stores to purchase a copy of Foraged Flora. We had a terrific time this past Saturday afternoon in our Healdsburg gardens with Sarah Lonsdale, co-author of Foraged Flora, and Dundee Butcher of Russian River Flower School. 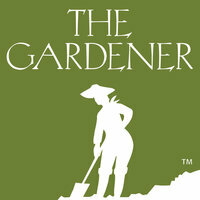 Visit thegardener.com webstore or call one of our stores to purchase a copy of Foraged Flora. webstore or call one of our stores to purchase a copy of Foraged Flora.